It’s been a long time coming, but after almost six months of agony, Worcester Wolves are finally off the bottom of the table. It was via an epic and stunning quadruple overtime success, in what was the highest scoring game in BBL history. With the benecos BBL Play-Offs being out of reach for both sides, they still served up a game that will live long in the memory for those who watched it, with only 4 other BBL games having ever went to quadruple overtime. 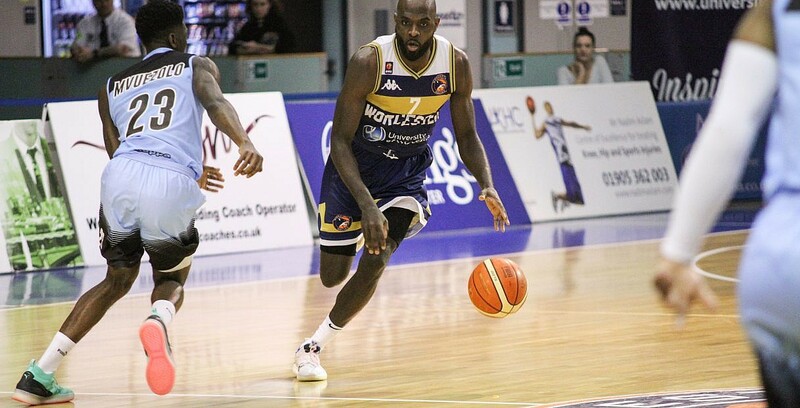 Turning point – Too many to mention and you also have to take into account that with no time left on the clock, Scorchers had a pair of free-throws to force a fifth extra period – but duly missed them. Key stat – The hosts dropped 88 points in the paint and that was huge, compared to 54 for Scorchers. Wolves also made 28 of 32 free-throws. Game hero(es) – This was a night for amazing numbers, with Deshawn Freeman finishing with 33 points and 14 rebounds. Robert Crawford weighed in with 33 points, 8 rebounds, 7 steals and 6 assists, while Lester Prosper had 19 points and 15 boards. You had to have some sympathy for Scorchers’ star Quincy Taylor, who lost the game after racking up 33 points and 17 assists.